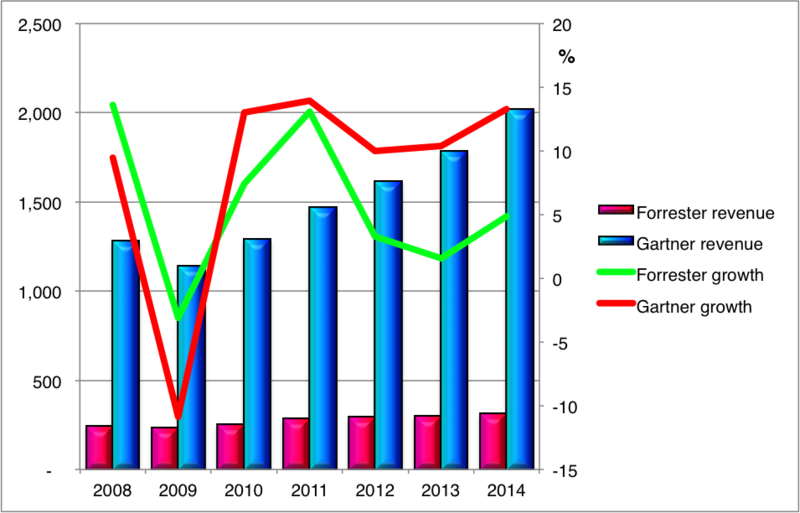 Crunching the analyst firm numbers – what do they tell us about Gartner, Forrester, IDC & others? It’s Symposium season! What should AR pros do to prepare? 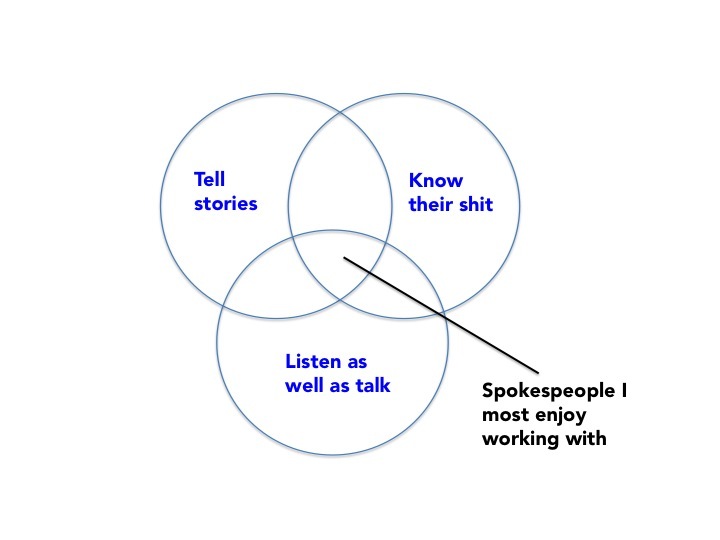 So you want to train spokespeople to talk to analysts – but what do you teach them? Train spokespeople to speak with analysts? You know it makes sense!! How to screw up an analyst summit…. Is AR really considered strategic in APJ? In my last post, I concluded that analyst targeting isn’t evil, just necessary. So why continue with the necromancy theme? Many times over the years – usually over beers – my conversations with analysts have turned to how and why AR professionals choose to work with some analysts, but not others. Consolidation has been a reality in the technology research business for the five-plus decades of its existence, but the billions of dollars splashed out last month in deals involving the two largest players – Gartner and International Data Corporation – have thrown a spotlight on the future of the business. Neither deal was particularly surprising. Gartner has always been acquisitive, and peer networking company, Corporate Executive Board (CEB) had long been rumoured as a potential target. The $US2.6 billion in cash and stock (plus $US700 million in debt) which Gartner offered in early January was, however, enough to make many folks in the technology business sit up and take notice. Meanwhile, International Data Group – parent company of IDC – had been on the market for several months after the McGovern family decided to exit the tech publishing and research businesses to invest in their late father Pat’s deep interest in brain research. Terms of the deal weren’t disclosed, but it is believed that the combined bid from two Chinese venture capitalists – China Oceanwide Holdings Group and IDG Capital – amounted to something under $US1 billion. Apparently both firms lodged unsuccessful offers last year, and were encouraged to pool their resources, putting together a winning bid in mid-January. What makes these deals most interesting is what happens from here. Gartner has made many acquisitions in the last several years, including well-known tech research firms such as Dataquest, Meta Group and Ideas International. It is extremely good at assimilating acquired firms and in most cases has been successful at rebranding services under the Gartner name, with the original brands vanishing. However, CEB is not a tech research firm whose services will fit neatly into Gartner’s portfolio. Rather, it is a talent management, peer networking and insights company, with a strong presence in human resources, sales, legal and finance. It is quite likely that Gartner will think long and hard about rebranding CEB as the Gartner name will be less well-known in these segments. Adding close to $US1 billion to Gartner’s revenues of $US2.4 billion and about 4,600 staff to Gartner’s headcount of about 9,000, this deal is also significantly larger than anything that Gartner has consumed before. However, Gartner CEO Gene Hall made it clear on last week’s earnings call that the firm will be using all the skills and tools it has developed over several years to drive out costs from CEB, and drive up sales engagement and client retention. The good news for Gartner is that there is no real conflict in the offerings from the two firms, which means no confusion about subscription renewals moving forward. Longer term, the gains will come from consolidating back office functions and real estate, streamlining CEB sales & retention processes, adding functionality to CEB services (think advisory…), broadening the services portfolio for both sales teams, and building new services for new markets. Hall confirmed last week that the deal has received US anti-trust approval, so there is little likelihood of it not proceeding, and Gartner teams are already hard at work aiming to close the deal in April. Combined revenues will start to approach $US4 billion this year, allowing Gartner to further dwarf its dwindling group of competitors of any size and substance. But realistically, it will take 12 to 18 months to properly assess the impact of this acquisition on the technology research business. The founder of IDG, Pat McGovern, had a lifelong interest in China and was the first western publisher to establish a joint venture there as relations thawed in the 1980s, so it is perhaps appropriate that Chinese venture capitalists are the new owners. Indeed, the minority partner – IDG Capital – traces its roots back to McGovern’s first investment activities in China, when he partnered with Hugo Shong, now head of IDG Capital. With the deal receiving US foreign investment approval before it was announced, this is a done deal, and mostly it represents upside for IDC, which is generally considered the more valuable property as the tech publishing business has struggled in recent years. First and foremost, the announcement provides certainty for IDC. Ever since word leaked last year that it was on the market, there has been a degree of discomfort in IDC and among its primarily tech vendor clients. It is doubtful that that had any material impact on IDC’s sales, but it could have if the process dragged out much longer. The new owners also confirmed that long-time CEO Kirk Campbell would remain in charge, suggesting that other management changes are also unlikely. Second, it positions IDC as an acquirer for the first time in many years. IDC has focused on organic growth and hasn’t made a significant acquisition since bringing in Meridian as the basis of Financial Insights over a decade ago. The new owners have pledged funding for acquisitions, and IDC executives are actively exploring opportunities, many of which are no doubt also on Gartner’s radar – that firm has dozens of opportunities in view at any one time, and will sometimes wait years until the timing and pricing are right. Short term, the buyout will have no impact on IDC’s portfolio or its sales activities, although it is likely to increase focus on driving up sales. The new owners are venture capitalists, and will be looking for a return on their investment. The deal has attracted some criticism and negative commentary. Oceanwide is an investor in Chinese computer manufacturer, Lenovo, leading to suggestions of conflict of interest. Most astute observers think that is drawing a long bow – IDC would place its professional and financial credibility at extreme risk if it was even rumoured to be influenced by such a relationship. Indeed, Silverlake Partners, a US venture capital firm funded by Microsoft’s Bill Gates and Oracle’s Larry Ellison – among others – was once a significant shareholder in Gartner, but that didn’t stop them becoming involved in many battles over market data and opinion. There is also a somewhat bizarre attack ad from Canalys, a UK-based firm which competes with IDC in the market share space for volume products such as notebooks and smartphones. The ad raises questions about trust and security of data shared with IDC by IT vendors, which is somewhat ironic considering Canalys has a largish research operation in Shanghai, which is generally considered to be the base for much of China’s hacking and cyber espionage activities. Like the Gartner/CEB deal, the impacts of the IDC buyout are unlikely to become clear for at least 12 to 18 months, and while IDC remains the second-largest player in the tech research business, the change is not going to shake the foundations of the industry. Any changes are likely to be evolutionary rather than revolutionary, which has pretty much how things have been at IDC for some years. Underlining the inherent stability of the analyst business, Gartner and Forrester have again delivered pretty healthy balance sheets for the 2014 financial year, but there is a sharp contrast in the way that the two leading buy-side firms finished the year and view the future. Now much more than six times larger than its most similar rival, Gartner cracked the $US2 billion revenue barrier & exceeded its growth forecast of 12 months ago, coming in 13% up on its 2013 revenue. Meanwhile, Forrester hit the top end of its 12-month forecast, with a 5% growth over 2013. Both firms saw their Q4 revenues grow at similar rates to their annual performance, but net income figures were more dynamic. Gartner’s net income grew just 0.5% for the year, and declined 4% in Q4, year-on-year, while Forrester’s net income plunged almost 17% for the year, but rebounded 67% in Q4, year-on-year. That’s totally different to Forrester’s profit performance in the previous couple of years, when Q4 declines have been of the order of -50%. Gartner has also started to moderate its future guidance, giving equity analysts an outlook of 6 to 9% revenue growth, while previously-conservative Forrester has upped the ante, forecasting 4 to 7% revenue growth in 2015. Most interestingly, Forrester CFO Michael Doyle stepped beyond normal protocol on the earnings call, flagging a revenue growth of 10 to 11% in 2016, although cautioning that it was preliminary. But this was an unusually bullish call from Forrester. Gartner closed the year with revenues of $US2.021 billion, up 13% over 2013, while Forrester notched up $312 million in revenues, an increase of 5%. Gartner posted $184 million in net income, marginally up on 2013, and about 9% as a percentage of revenues, while Forrester recorded a net income of just $US10.9 million, a sharp 17% decrease on its 2013 result, and just over 3% as a percentage of revenues. Neither of these firms is as profitable as they used to be. Syndicated research still drives the revenue for both these firms. It grew strongly for Gartner in 2014, accounting for 72% of revenues – a touch up on previous years – and is forecast to grow about 11% this year. For Forrester, research grew only 2%, accounting for two-thirds of total revenues. Both firms believe there is significant opportunity in delivering research into new accounts with new services, though it’s fair to say that Forrester was more specific about focusing on the opportunities in business technology (BT) – roughly speaking, the line-of-business applications enabled by cloud, mobile, social etc – than in information technology (IT). But both areas are big areas of focus for both firms. Forrester doesn’t report consulting as a separate line item, combining it under the category “advisory services and events”, but it has been an area of strategic focus. In 2014, it moved to liberate its research analysts from consulting apart from short-term advisory & presentations, instead hiring dedicated consultants to undertake longer term projects. This is still a work in progress, with the firm aiming to balance the two 50/50. Overall, this line item grew 10% in 2014, suggesting a good result for consulting. Gartner separates its consulting business in the balance sheet, though there’s not much insight into how much of that comes from users vs vendors. The most dynamic element is what Gartner calls “contract optimisation” – which is essentially helping end-user clients drive down technology acquisition costs – but it seems to have that reasonably under control. Overall, consulting grew 11% in 2014, but the outlook is for flat to slightly negative growth this year. Events continue to be the standout performer for Gartner, increasing just over 14% for the year and 20% in the final quarter, when the flagship Symposium events are held around the world. Gartner conducted 64 events in 2014, and plans to increase that by one this year. For Forrester, events are a much smaller business than for Gartner, and it doesn’t break it out as a separate line item in the balance sheet. However, it noted that Q4 events revenues declined 14% due to weak sponsorship support rather than poor attendances. Forrester has hired a new sales leader for this part of the business and hopes to return to growth in 2015. Gartner doesn’t provide a detailed breakdown of its staffing in its earnings statement, but its latest corporate profile – updated on September 30 – states total employment of 6,600 “associates”, of whom more than 1,000 are analysts. Sales headcount grew just over 14% in 2014 and is expected to continue growing in the 15 to 20% range. The company also noted that it now employed 92 managing partners in the consulting business, up 15%. Forrester ended the year with a total of 1,351 staff – up 5% – including 518 research & consulting staff and 510 sales reps. The firm this week announced that it intends to reduce its headcount by 50, of whom only two are analysts. While this represents 4% of its total headcount, it plans to increase headcount 7% this year – the layoffs are aimed mainly at rebalancing its skills mix in the consulting organisation. Gartner & Forrester use slightly different terminology to describe their key metrics, but they both use rolling four-quarter averages to eliminate seasonality. Gartner said its client retention rate was 86%, up two points, while Forrester reported a three-point improvement to 76%. In terms of dollars, Gartner’s wallet retention was 106% at the enterprise level compared with Forrester’s 88%, both firms improving by two points. For Gartner, research contract value increased 13% to $US1.603 billion (although this was restated on January 1 to $US1.55 billion due to the impact of foreign exchange rates), while Forrester increased 7% to $US231.7 million. The strengthening US dollar had an impact on the year-end results for both firms, and will continue to do so. Gartner writes about 40% of its business in other currencies, so this reduced overall profitability and increased the effective tax rate, while Forrester is less exposed with only 26% of its business written outside the US, but nevertheless reported an impact on Q4 revenues, and expects this to continue. As noted above, Forrester has emerged as relatively more bullish this year, with its upper guidance at 7%, compared with low single digits in previous years, and flagging double-digit growth in 2016. For the first time in recent years, Gartner’s upper guidance has dropped from double digits to 9% – still greater than Forrester, but comparatively conservative. Since 2009, Gartner has grown at a compound annual growth rate of 12%, twice that of Forrester, and the delta between the two has widened in recent years, both in terms of revenue and net income, so it is interesting to see their outlooks become more similar. While Forrester acknowledges that it still needs to fine-tune its consulting organisation, the bullishness reflects a confidence that it has put all of its operational problems behind it, and that the changes it has made to both sales & research over the past couple of years are starting to pay dividends, which will accelerate over the next couple of years. For Gartner, a hint of conservatism in no way suggests that it plans to take its foot off the gas. The single-digit guidance probably has more to do with currency volatility than anything else, and the firm stated that it intends to continue investing in both research and sales headcount, as well as look for strategic acquisitions. So it’s time to buckle up – it’s full steam ahead for the technology research business in 2015. The technology analyst business in Japan – long constrained by weak economic & IT spending growth as well as some cultural challenges related to the use of external advisors – appears to be enjoying its most positive period in several years. During a visit to Tokyo last month, I met with senior executives from the major global IT analyst firms, Gartner and IDC, as well as local advisory firm ITR, and found them all positive about business growth as the economy continues its recovery, although sentiment did vary from bullish to cautiously optimistic. This is in stark contrast to previous visits over the past couple of decades, when the analyst business seemed weighed down by the weak performance of the Japanese economy and the challenges of adapting a “western” concept of external advisory to a culture much more reliant on peer networks & hierarchies. Japan is, was & always will be a complex technology market. It is huge – only last year surpassed as the second largest country market by a fast-growing China, according to IDC – and has a strong cohort of domestic technology vendors which have tended to dictate technology adoption much more than the large group of global multinationals which have operated in Japan for decades. Native language support, the ability to innovate to meet the needs of the Japanese business & consumer markets, and tight relationships between local suppliers and end-user organisations have all shaped technology adoption & behaviour in Japan, and impacted on how analyst firms with “western” business models have engaged with Japanese clients, whether they are vendors or users. Notwithstanding their enthusiastic reliance on technology, Japanese companies have not tended to see IT as strategic, or to elevate its role as a business driver or differentiator. According to analysts I spoke to recently and over previous years, no more than 20 to 30 per cent of Japanese enterprises employ a CIO, and very few of those have an IT background, coming mostly from HR and finance, so they tend to be heavily influenced by their suppliers, including the local SIs. And while Japanese IT vendors have a voracious appetite for data – market size, market share & forecasts, not to mention any number of segmentations – Japanese market taxonomies don’t always map neatly to those defined by the global players such as IDC & Gartner, so this has represented a barrier to penetration of those accounts – in some cases requiring duplicate products to meet local & global requirements. For their part, most analyst firms in Japan have maintained their investment in the market and are starting to see the dividends. IDC Japan is the oldest player, established in 1975, while Gartner ended its agency representation to establish a subsidiary in the late 1990s. That agency – ITR – has had information-sharing arrangements with Meta, Forrester and Constellation Research since, but has mostly relied on its local services to drive its business. There are other local players, most of which are focused on providing local market share data to Japanese vendors. Some are technology specific, such as MIC Research, MM Research & Techno Systems Research while others are generic market research firms which cover technology segments along with other vertical markets, such as Fuji Chimera, Mitsubishi Research & Yano Research. Forrester has maintained a sales office in Japan for many years, but has had no resident analysts in the country since the departure of its one representative earlier this year, while Frost & Sullivan has a good presence in some vertical markets, but a relatively low focus on IT. But there are many signs that things are changing. Following is a snapshot of the state of play, based on my recent discussions. Gartner has been investing steadily in the Japan business for the past few years with the addition of significant sales & support resources, evolving it from a sell-side market sizing organisation to one which now derives more than 60 per cent of its revenues from end-user organisations. According to Gartner’s Japan country head of research, Satoshi Yamanoi, the penetration of end-users remains quite small, particularly when compared with the US and EMEA, so the market opportunity is considerable. Gartner now offers a complete portfolio of services in Japan, including research; consulting – which competes with likes of Boston Consulting & McKinsey; events – including Symposium/ITxpo & five summit events; and the EXP CIO peer networking program. The EXP program is approaching a critical mass, but Gartner hopes to increase this over the next couple of years. Like other analyst firms in Japan, Gartner has very strong analyst retention, with many analysts having worked with the firm for several years. Headcount has remained stable at about 30 analysts for the past few years, but the research teams are now more tightly integrated with the global organisation, with the team leaders for infrastructure, applications & sourcing/IT management now reporting into global peers rather than working in isolation. According to Yamanoi, Japanese CIOs and other executives are increasingly looking to understand global best practices for technology & business adoption and integration, so are more open to external guidance than previously. As well, other countries are looking to engage more closely with Japan, with Gartner working with government & business customers from China, India, Brazil & Japan. Similarly, IDC Japan has been enjoying some solid business growth without increasing its analyst headcount, which remains at about 35. Analyst retention rates are high, and according to managing director, Masato Takeuchi, it is difficult to recruit quality analysts due to the specific mix of skills required. As in most other countries, IDC’s revenues are heavily dependent on quarterly market share trackers (which are often purchased at a corporate level by US & European vendors), but IDC Japan is also able to generate local language reports to meet the needs of Japanese vendors at both local & global levels. The strong position of Japanese vendors in some technology segments means that IDC Japan is more actively involved in driving IDC’s global research agenda than most country offices. Several of the world’s leading printer vendors are Japanese, for example, while Japan’s strong manufacturing base across many segments means that IDC Japan is providing considerable input into defining the methodology around IDC’s research into the Internet of things (IoT). According to Takeuchi, Japanese CIOs recognise that their role needs to change to one which acts more as a strategic advisor to the CEO, which opens up buy-side opportunities in some vertical markets, although IDC has not yet put significant focus on developing the Insights business in Japan. Retailers starting to explore the implementation of big data as they move to omni-channel is just one example of how IDC might leverage its global expertise for Japanese end-users. Established 20 years ago, ITR has carved out a comfortable niche in the Japanese research & advisory market. With a comparatively small roster of 10 fulltime analysts plus about half a dozen contractors, it services about 300 clients, about one-quarter of which are end-user organisations and the balance are Japanese & multinational IT vendors. ITR delivers buy-side advisory services to end-users through its subscription-based Strategic Partnership Service (SPS), plus undertakes short-term consulting engagements to help clients with vendor selection, IT strategy and IT architecture development. At the same time, it works the sell-side by producing market sizing reports for local vendors, primarily focusing on segments which aren’t addressed well by the bigger firms. Originally a data-gathering partner for Gartner, ITR has a long history of partnering with global research firms, often translating selected content into Japanese to share with its local clients. Having also worked with Meta Group & Forrester, ITR is now aligned to US-based Constellation Research, which focuses largely on disruptive technologies. According to ITR general manager, Hiroshi Yamamura, Japanese companies are slower to adopt disruptive technologies than their counterparts in the US, but there is a trend to technology purchasing moving away from the IT department to lines of business. Interest certainly seems to be growing – an ITR conference in May keynoted by Constellation founder & principal analyst R “Ray” Wang attracted 1,200 attendees. There is growth at many levels in the Japanese analyst business. While revenues from existing services look healthy, there are new opportunities opening up as end-users more actively engage with external advisors, which means that the influence of Japanese analysts working for both local and global firms is increasing. Japanese analysts rarely have influence outside of Japan, but they are significantly more influential in the domestic market than any foreign analysts will ever be. While IT spending growth remains moribund, Japan remains a huge market for multinational IT vendors, who would be well-advised to review & upgrade their level of engagement with analysts in the world’s third-largest market. Like the markets it supports, the IT industry analyst landscape is in a constant state of change. Firms come and go, research agendas shift to new technologies, business models are tweaked & redirected, deliverables metamorphose to reflect changed information consumption habits. The last few years has seen quite a bit of consolidation at the “top end of town” as larger players have bought up smaller firms which provide them with access to new markets or opportunities. Forrester acquired home-grown APJ firm, Springboard Research three years ago, and Gartner soaked up IDEAS International in 2012. More recently, 451 Research picked up Yankee Group, a shadow of its former self, and Informa Telecoms transmogrified into Ovum, which it had acquired a few years ago. These deals have been well reported, but just as interesting is what has been happening at the other end of the market. The analyst business is a classic “long tail” industry – there are hundreds of companies which fit the broad definition of “analyst firm” – and there are few barriers to entry, so there are always new players. Over the past couple of years, quite a number of new seeds have been sown in the Asia/Pacific region. Some of these have already borne fruit, some are still quite nascent. They all have different business models, different focus areas, different capabilities, and how well they perform remains to be seen. But they all have something to offer. As we’ve noted before, any analyst firm can give you insights into a market or technology – how important that is to a vendor depends on its own market focus, information needs, budget availability & many other factors. Very few analyst firms have true influence over end-user purchasing decisions, but many influence around the edges, or can help create exposure for vendors to build awareness or help them better address their market opportunities. These are all valid outcomes of an analyst relations program, just addressed differently. We thought it worthwhile to profile some of the “new” firms which have come on to our radar in APJ over the last couple of years. There are also a couple of firms which are relatively new on the scene that didn’t want to be included in our coverage at this point, but we’ll likely hear more of them as they get themselves established. We make no judgment on the capabilities or likely success of these firms, and to avoid any allegations of bias, they’re listed alphabetically. Big data is a big topic, and that’s all that BigInsights covers, offering research, consulting, go-to-market services & training. The firm was founded by a former HP colleague of mine, Raj Dalal, who also spent some time covering emerging technologies for IDC Asia/Pacific. Also on board is another ex-HPer, David Triggs – as CTO – and former IDC Australia software analyst, Shayum Rahim – as research director – while the advisory board includes Ramin Marzbani, who in the 1990s built the internet research firm, www.consult, before selling it to ACNielsen; and Vikram Mehta, who rolled the blade server business out of Nortel to create Blade Network Technologies, later selling it to IBM. BigInsights’ business model is fairly “traditional” and primarily focused on vendors with specific big data products, but includes some end-user services including discovery workshops & training. Key research studies include an annual technology & vendor landscape, and demand-side research on big data technology adoption, both covering the Asia/Pacific region. It’s been nearly four years since Phil Hassey set up capioIT, so he probably has more visibility than some of the newer firms, but still merits inclusion on this list. For a one-man band, Phil covers a lot of ground within his focus area of emerging technologies & emerging markets – recent studies have included topics as diverse as BI & analytics, infrastructure services, Chinese tier 2 & 3 cities, and natural resources IT solutions – but broadly his strength is around IT services & enterprise software. With a background leading IT services research for Springboard and IDC Asia/Pacific, Phil delivers research & consulting services to vendors, but also undertakes custom consulting projects for end-user organisations in Australia as well as in other countries in APJ. Unlike many analysts, he also invests a lot of time & some of his own money doing on-the-ground research in many countries. Former Forrester/Springboard analyst Sanchit Vir Gogia started Greyhound just over a year ago, positioning it as an IT & telecom research & advisory firm, focused on emerging markets. While many of the pages on its website remain incomplete, Sanchit told us that the firm targeted three audiences – IT decision-makers, IT vendors & partners, and venture capital funds – and revenue was reasonably balanced across the three, with clients in India, ASEAN and the Middle East. Greyhound’s services include free & paid research, custom research, role-based advisory, toolkits & speaking engagements, with broad technology coverage focused on five business themes. Sanchit is also fairly visible through his blog, AsDisruptiveAsITGets, and on Twitter. Datamonitor founder, Michael Danson, who sold his business to Informa in 2007, has recently been rolling up a range of publishing & research businesses across a range of industries. The firm most relevant to this space is Kable, which does detailed primary research on ICT usage in 14 industries in 33 markets, and which also owns telco research & advisory firm, Pyramid, and Strategic Defence Intelligence, which tracks the global defence business. For the past few months, former IDC Australia & Datamonitor sales director, Paul Hodges, has been ramping up the APJ sales operation in Sydney, and is planning to add country & regional analysts over coming months. Collectively, the PDM businesses have an enormous amount of data on technology consumption & usage, so the potential to further develop services of interest to both vendors & users is high. After covering data centre technology for more than a decade with Gartner & a long career in marketing/technical roles with major IT vendors such as HDS, Phil Sargeant established Specialist Computing last year to focus on storage technologies, as well as server & desktop virtualisation. While strictly speaking a consultancy rather than an analyst firm as there is no regular cycle of research, Specialist’s services are primarily focused on end-users, including creating & evaluating storage RFT/RFPs and creating storage & virtualisation plans. Tim Dillon had an extensive background as an analyst – leading IDC Asia/Pacific’s mobility practice, establishing Current Analysis’ European analyst operation& heading up Asia/Pacific research for Current Analysis, among other roles – before setting up TRA two years ago. Tokyo-based Trevor Clarke, formerly IDC Australia’s lead infrastructure analyst and a former editor of Computerworld Australia, joined the team as a partner a few months later, with former Corporate Express/Staples CIO, Garry Whatley, coming on board more recently. While TRA positions itself as able to assist end-user executives – and many of its engagements are with CxOs and CIOs across the region – the majority of its revenues are derived from ICT vendors and service providers.TRA has broad technology coverage – although its published research has a strong focus on mobility and the future of work – and says its primary focus is analysing the business outcomes from technology, rather than technology per se. All of its team are active on the regional speaking circuit. Generally speaking, all of these firms have chosen to focus on market niches where they can compete effectively with some of the bigger players. Key advantages they enjoy include nimbleness & flexibility, unconstrained by the business models, research methodologies & market taxonomies of the more established firms. Of course, they lack the reach & scale that give some of the leaders a certain amount of market muscle, and scaling up requires adding quality analysts, who are often hard to find. And while some of them will be capable of producing quality research across the APJ region, they will understandably be stronger in their home markets, simply because no amount of travel can compensate for having feet on the street. From an AR perspective, vendors should be thinking about how, when & why to engage with these firms. Some will make more sense than others, but they’re certainly worth exploring further. Have we missed anyone? Let us know if there are other new players we should be looking at.